Everyone who owns a home or wants to own one is a real estate investor, simply because no one buys a home with the intention of losing money. Today there are millions of foreclosures in the U.S. Many, if not most of them could have been avoided. Investors and home owners alike have lost trillions of dollars. Losses that could have been avoided. Inside this book you'll discover how to save thousands on an existing home loan, how to build wealth through real estate, how to buy a home even if you have bad credit, and how to sell your home for a profit in any market. Find out the "dirty secret" about FHA loans, and learn how to beat the banks at their own game. 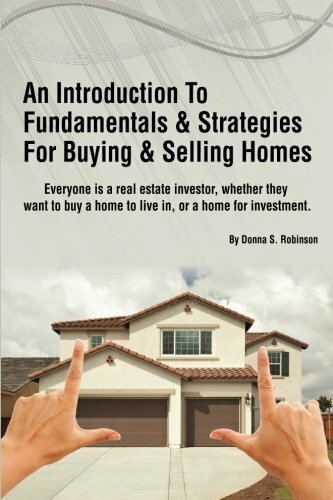 This book is vital to your financial health if you want to own a home of your own or invest in residential real estate. You can retire worry free IF you know how to win the real estate game. You'll never hear this information in a real estate seminar or class. The author reveals the hidden secrets to real estate success that she has learned during the past 16 years as a real estate agent, investor and consultant. Take charge of your financial future and keep more money in your pocket instead of giving it to banks and lenders! This is brand new information written for today's market. Not old leftovers from before the market melt-down. This information is so essential that the classroom version of this material has been approved for continuing education credit by the Georgia Real Estate Commission. Today affordability is the key. Low prices for houses does not guarantee that the typical home buyer will end up with an affordable loan. Buyers must know how to avoid falling into the trap of expensive, unaffordable mortgage payments. Real estate investors must make sure that their properties are affordable for their customers, while balancing costs against cash flow. Home owners who need to sell may not realize that there are ways to sell for a profit in any market. Most folks have no real knowledge or awareness of real estate fundamentals, and the impact these fundamentals can have on a specific home, as well as the entire housing market. The author points out that Fundamentals Dictate Strategy. Since you can't change the market fundamentals. Your strategy has to change to accommodate the fundamentals. This rule applies to anyone who wants to own real estate. Use it to help guarantee your success. Ignore the fundamentals, like millions of others did, and you could set yourself on a course for financial ruin.